Seaweed Benefits For Heart - Heart is one of the most important organs in the body and is the main motor in the blood stream. Therefore, maintaining heart health is very important. Efforts to do is to avoid smoking, drinking alcohol, balanced diet and regular exercise. One other way that might potentially help heart health is the consumption of seaweed. Scientists have identified that the algae (seaweed) has great potential as a heart-healthy food ingredients. 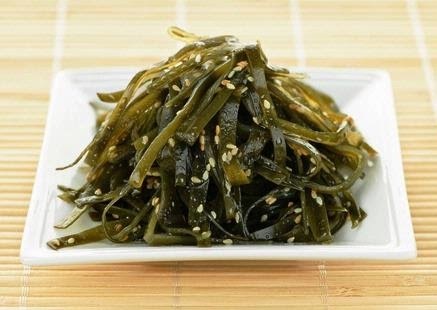 Article published Journal of Agricultural and Food Chemistry stated, seaweed can compete with dairy products as a source of nutrients called "bioactive peptides". The research consisted of Dr. Mary Hayes, Ciaran Fitzgerald, Eimear Gallagher and Deniz Tasdemir of the Teagasc Food Research Centre, Ireland conducted a study on the utilization of seaweed as a source of protein that has properties such as bioactive peptides. "Bioactive peptides" which are found in dairy products, not only provide nutrients, but also have the same effect with the drug and prevent certain diseases. Seaweed is also known as the macroalga an alternative food source that is rich in nutrients. Communities in East Asia and other cultures for centuries been eating seaweed. A review of 100 studies concluded that seaweed contains a protein that works as boiactive peptides in dairy products. Bioactive peptides are useful for lowering blood pressure and is similar to the popular ACE inhibitors. "Various species marcoalga and environment in which they are located as well as the ease of cultivation make seaweed has not been studied as a relatively new bioactive compounds. Needs to be more effort to exploit its potential and marketed for consumer use in food products," the researchers said in their report.